The Scotchman Peaks Wilderness is a cross-border, roadless proposed wilderness area with a majority of the acreage in Montana. Public use land management has always been a vocal and fundamental issue to Montanans. Our wealth of public lands are available to every resident and visitor – which makes Montana an extraordinary place. 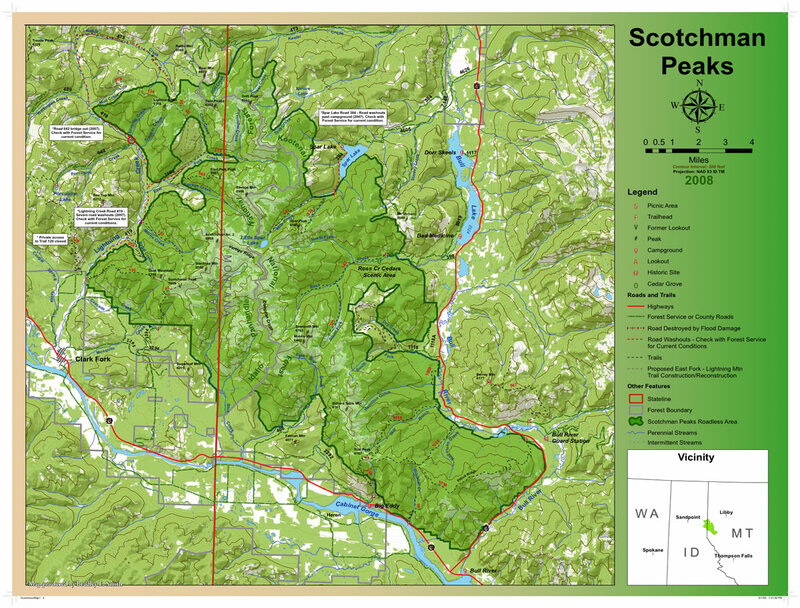 Friends of Scotchman Peaks Wilderness (FSPW) values responsible, multiple-use of public lands. Natural resource extraction, livestock grazing, motorized and non-motorized recreation all belong in Montana, and so does preservation of existing wild areas for future generations. We value your opinion. Please take this short, anonymous survey concerning social issues and land management in the Scotchman Peaks. The proposed Scotchman Peaks Wilderness makes up 88,000 acres within the 4 million acres of the Idaho Panhandle and Kootenai National Forests. Multiple use means balancing the values of each place; NOT every use on every acre. Why keep the Scotchman Peaks wild? There are no existing roads and management would not change due to designation. Access to back-country recreation: hunting, fishing, hiking, camping and wildlife viewing. Keeping wild places is not a partisan issue. Many who value the life-style and culture of northwest Montana were raised to understand the benefit of preserving public lands. 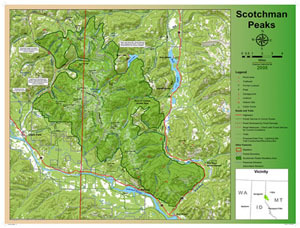 Spanning the Idaho-Montana border, the Scotchmans begin west of Bull River Junction at Hwy 56 and Hwy 200. This nearby sanctuary is adjacent to the communities of Troy, Noxon and Heron, Montana, as well as Clark Fork, Hope and Sandpoint, Idaho. FSPW efforts have been concentrated in Idaho since the organization formalized. With positive support in Idaho from businesses, the County Commission and congressional leaders, outreach efforts will be focused in Montana.